I'm recently back from a road trip with my friend David that started in Boulder and ended in Montreal. We stopped in Toronto, and the Yankees just happened to be in town. Originally, we planned to be in Toronto last Monday, but the trip got pushed back a day, so we ended up at the Tuesday game. On Monday, the Jays won, 3-2. As it turned out, the Jays also won on Wednesday, taking two of three. Naturally, I was at the Tuesday game, when the Yankees hit five home runs. At least we were late to the game and missed the Bombers' three-homer barrage in the top of the third. But by the time we got into the stadium in the bottom of the third, the Yankees already led, 6-0. The weather was nice, so the roof was open at the Rogers Centre (see photo). There were plenty of Yankee fans in attendance, and numerous Jeter jerseys, but unlike when Squawker Lisa and I saw the Yankees play in Baltimore, the home team did have a lot more support, even in a blowout. The Yankees built their lead to 10-1 before winning, 11-5. Considering that in the last Met game I went to, the Mets lost to the D-Backs, 14-1, maybe it's time to stop going to ballgames for a while. On one of Lisa's posts, reader Uncle Mike wondered if I traded my "Mets money" for "loonies" at the border. No, Uncle Mike, I'll leave that to Omar Minaya and his signings of the likes of Oliver Perez and Francisco Rodriguez. I was traveling for a week and a half and did not get to see any Met games during that time. So, despite the way the season has turned out, I looked forward to finally watching a game in its entirety tonight. I never root for the Mets to lose, but tonight's 9-3 shellacking by the Braves has its bright spots. Now everyone can finally concede that the Mets are out of contention. No more talk of, if the Mets sweep the Braves, then go on a run, and so forth. Boy am I glad I missed all the theoretical dream scenarios while I was away. The worst thing about this wishful thinking is that it ultimately comes down to believing the Mets can stage a miracle run because the NL East's first place team collapsed in both 2007 and 2008. In other words, the Mets choked, so the other guys can as well. Only there's nothing to suggest that the Braves will choke (putting aside blowing a 10-1 game last week). And even if the Braves did choke, the Phillies are right behind them. So both the Braves and the Phillies would have to choke, and the Mets would still have to go on a run. Now that there will be no meaningful games in September, at least we can look forward to the future. The Mets could signal a new beginning by firing Omar Minaya and Jerry Manuel now, or at least Manuel. Instead, we'll get to hear Manuel talk about how excited he is when Jenrry Mejia gets added to the rotation, when it was Manuel who wanted to keep him in the bullpen in the majors and delayed Mejia's progress. At least Manuel gave Bobby Parnell a chance to close Friday night, but Manuel need to give him more than a couple of batters before yanking him. Manuel is so quick to change players' roles that it's no wonder everyone seems to be playing tight, afraid to make the mistake that sends you to the bench. Seeing Billy Wagner set down the Mets in the ninth served as a reminder that not all Met free-agent signings were busts. In fact, if Wagner had not gotten hurt in 2008, the Mets might well have made the playoffs. They probably wouldn't have won a World Series with Wagner, who has a bad history in big games, but at least they would have gotten to play big games. Here's how long a season it's been: The first game I went to at Citi Field this season was on April 23 against the Braves. John Maine started, Ike Davis hit his first major-league homer, Squawker Lisa cheered for Melky Cabrera, Hisanori Takahashi struck out seven in three innings to get the win, and the Mets swept the Braves in a three-game series. The Mets allowed only three runs in those three games, going on to win seven in a row. The Braves played poorly and did not look like a contender, much less a team that would hold a 11-game lead over the Mets before the end of August. Maybe I should go on another trip. Squawker Jon is mostly incommunicado these days. He's on a road trip, and his current phone plan has so few minutes that we have to communicate via telepathic beeps and squeaks, the way they did in one of the "Planet of the Apes" sequels. But Jon did manage to get me a message that he was at the Yankees-Blue Jays game last night, as he's in Toronto right now. Jon got to the game just in time to see the Yankees' three-homer barrage in the fourth inning. Needless to say, he wasn't too pleased to witness this. And no, Jon did not dress as a fake umpire, as some Toronto fans have been known to do! Anyhow, I was happy that the Yankees' offense did so much last night. I was also happy to hear that Johnny Damon will not be going to Boston after all. But the best part of last night was knowing that Jon had to sit through watching the Yankees beat up Toronto! Tee-hee! Are you joining the CitiField Sit Out movement? There's been a whole to-do in the Mets community as of late over the Citi Field Sit Out, organized by My Summer Family Mets blogger Taryn Cooper. Tonight, August 25, some Met fans are staying away from the stadium to register their displeasure with what's going on these days in Metsland, even though some of them, like Taryn, had already bought tickets for the game. Anyhow, I interviewed Taryn about the event to see what it's all about. You can read the whole interview at The Faster Times site. I guess Squawker Jon and I will be participating, as neither of us will be going to the game. Then again, we already weren't planning on attending, so I don't know if that counts! Anyhow, go here to read the story. I'm sure reader Uncle Mike will have a lot to say about it! WWJD: What Will Johnny Do? Could Damon be a (gulp) Red Sox again? What a nightmare. I was driving in the car yesterday when I heard that the Boston Red Sox had claimed Johnny Damon on waivers. I went all, "Nooooooo!" and nearly drove off the road when I heard the terrible news! Anyhow, since Damon has a no-trade clause involving the Sox, he has the right to reject going back to Beantown. And so far, he has said he's "leaning toward" staying with Detroit, also saying, "My gut and everything else tells me Detroit’s the place for me." "Tigers explained to Damon Boston didn't claim to block, they want him. Tampa didn't even claimed him"
Very interesting! Unfortunately, while I hope Damon does the right thing and spurns Boston, I'm afraid he is going to go back there. I wrote on Facebook yesterday that a competitive player like him would want to be in a pennant race. A Sox fan friend was surprised to hear me think that the Sox were still in the pennant race. I said that they were like the villain in a horror movie -- you could never count them out! Anyhow, I'm not going to be happy to see Damon wearing Boston red again, but I'm not going to boo him the way Sox fans did when he went to the Yankees. If only Brian Cashman had done the right thing in the first place and re-signed Damon this winter, none of this would be an issue. Will Roger Clemens end up in the pokey? What are the odds? Will Roger Clemens do any jail time for allegedly lying during a Congressional hearing in 2008? Will Roger Clemens admit to using performance enhancing drugs in 2010? Also, I wrote an article about Clemens' love of Twitter -- and how it's already gotten him into trouble -- for The Faster Times. Check it out here. Now that the Yankees have gone 13-0 without Alex Rodriguez this year, are we going to hear about how the Yankees really don't need him on the team? Just wondering. Two summers ago, I had a similar calf injury to A-Rod's, so I know what he's feeling. Not fun! I've been busy over the past few days with real-life obligations, so I haven't had much time to squawk. But I did watch some of the games this weekend. I feel sorry for Javier Vazquez -- he's been upfront about his velocity being down, but nobody in Yankeeland seems to be paying attention. 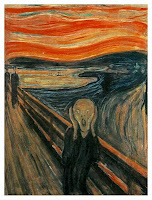 Maybe now that Ivan Nova's up in the majors, the Yanks can skip a Javy start, and see what the heck is wrong with him. Oh, and there's the whole Roger Clemens indictment. I know I probably shouldn't revel in other's misfortunes, but I can't help but snicker over him. He thought he was so clever in demanding to squawk before Congress and spin his phony tale. So much for that! The only thing that would have made his indictment more entertaining is if Suzyn Waldman had announced the charges against him! Speaking of reveling in other's misfortunes, how about that whole Jay Mariotti story? Anyhow, hopefully this week I'll get to write more. And maybe Squawker Jon will recover soon from the loss of Rod Barajas. But what do our readers think of what's been going on in Yankeeland? Earlier this week, Frank Gray of Mets Gazette asked me what I thought of the K-Rod debacle. Frank interviewed some other Mets bloggers as well and combined our comments into a piece for Mets Gazette. You can read Frank's piece here. It's still hard for me to believe that a season that held some promise just a few weeks ago has devolved into K-Rod on the disqualified list, Jason Bay out, possibly for the rest of the year, with a concussion and former starting catcher Rod Barajas sent to the Dodgers to save a few bucks. Meanwhile, on the field, Johan Santana pitches another strong game, only to lose to the lowly Pirates on homers by former Mets phenom Lastings Milledge and former Yankees phenom Jose Tabata. At least the Mets still won their first road series this season against an NL team. Hope they saved the ball from the final out for the Mets' Hall of Fame. Earlier this week, I was interviewed by two different blogs. First up, you can listen to me squawk about the Yankees - and about K-Rod - with Frankie “The Sports Guy” Maniscalco. This interview is at the NYB Blogs site. Frank is a Mets fan, and I gave him a little grief about his team -- and vice versa! I also spoke with Joe and Paulie of the Yankee Roll Call site (they've got an awesome "Enemies List" on their site, including the knucklehead who buried David Ortiz's jersey in Yankee Stadium!) We talked about Johnny Damon's return, and assorted other Yankee issues. Go here to listen to or download the interview! Anyhow, I had a lot of fun squawking with Frankie, Joe, and Paulie about the Yankees. Please check out what we yakked about! Last season, two of the Mets' few bright spots were the willingness of Alex Cora and Jeff Francoeur to play with torn thumb ligaments. Cora continued to play until he tore the ligament in his other thumb and finally had to shut it down. Francoeur tore a ligament in his thumb last August while making a diving catch during the infamous Philly game that ended when he lined into an unassisted triple play, but remained in the lineup the rest of the season. Now Francisco Rodriguez appears to have pitched Saturday with a torn ligament in his thumb, since the Mets are saying he injured his thumb in Wednesday's altercation. Cora and Francoeur were hailed as respected team leaders last year and well into this season. But they suffered their injuries on the field, not in the family lounge. Now Cora is gone, Francoeur's Met days appear numbered, and the team is probably going to try to void K-Rod's contract. It was only a couple of months ago that the Mets were ten games over .500 and the team was praised for having the best chemistry in years. It's simply not true that the last few years have been uninterrupted misery. This team still has a lot of potential. But that potential will only be realized through a renewed emphasis on the farm system, not on quick-fix free agents. No revisionist thinking on K-Rod - everybody wanted him and when the Mets were able to get him at a much lower price than expected, Omar Minaya was praised. Carlos Beltran was also a good signing - after his first year, he has been a star when healthy. And where would the Mets be without Johan Santana? But Luis Castillo and Oliver Perez were controversial contracts from the start, and many were skeptical of the Jason Bay signing as well. With the latest K-Rod developments, the Mets may have a lot of dead money on their hands. At least Beltran is showing signs that he may still have something left. The most significant development today could well be that the Mets signed Matt Harvey, their first-round pick. They were willing to spend on a top Scott Boras client. But there are rumblings that the Mets may be underspending in the rest of the draft. Harvey's deal was reportedly for $2.5M. Even if the Mets are able to void K-Rod's contract, they could be better off putting that money back into the farm system, rather than seeking the next quick fix in the free agent market. I got up this morning to watch Alex Rodriguez, CC Sabathia, and Nick Swisher on "The Today Show" kicking off the Yankees' HOPE Week. That week of events was really inspirational, and I'm sure this year will be just as great. ...Rodriguez, who will get paid over $11 million this year to pitch, used the hands that the Mets pay him so much money for to pummel somebody so badly that he was sent to the hospital. And that he did it on Mets property, in front of Mets family members. What if Rodriguez had hurt his pitching hand in the fight? I wonder if the Mets would have punished him more for potentially missing games. Only now, after the news that K-Rod is out for the year, did Mets manager Jerry Manuel finally seem ticked off over the debacle, saying he was "disappointed, discouraged, frustrated." And there's talk that the Mets will be looking into voiding the closer's contract. Good luck with that. This is yet another reason why the Mets' blase reaction about the assault was wrong. Don't you think the players' union will point out that the organization didn't think it was much of a big deal until the injury? Remember, Manuel downplayed the incident as being not baseball-related. Jeff Wilpon issued a one-sentence statement, and Omar Minaya refused to comment. None of them showed any outrage over it -- until now, that is. Now, I'm no lawyer, but my guess is that this stance is going to hurt the Mets. Besides, as Squawker Jon points out, the only contract in recent memory that was successfully voided was Aaron Boone's. The Yankees weren't able to do it with Kevin Brown, or Jason Giambi. It's not an easy procedure. At any rate, I think we might have seen K-Rod's last pitch for the Mets, even if it means the Mets dumping him elsewhere. Wonder if he's pointing to the sky now. I missed most of the action in Yankeeland this weekend, as I was on the "Eat, Pray, Squawk" tour to coincide with the "Eat, Pray, Love" movie opening! Squawker Jon and I went down the shore Saturday to attend my high school reunion. Since I went to a Catholic school, that classifies as the "pray" part, I guess. We also had clam strips at Martell's Tiki Bar in Point Pleasant afterwards, which fits in as the "eat" part. And the "squawk" part was in the car with Jon, when it took over 2 1/2 hours of traffic-filled driving to make it to the shore in the first place! Anyhow, on the way back from the Jersey Shore Saturday night, Jon and I flipped the radio back and forth between the Yankees and Mets games. I didn't get to hear A-Rod's first two homers live, but I did see the third one of the game on TV when I got home. 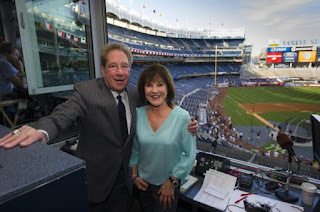 That last homer was the one I would have loved to have heard John Sterling's home run call. He must have gone insane over it! I did hear Sterling's two Granderson calls, though, and nearly drove off the road laughing at the silliness of them. Yes, Grandy gets both the "Something Sort of Grandish" and "The Grandy Man Can" calls. How is it that him and Mark Teixeira have two home run calls each, and Derek Jeter and A-Rod only have one? I had committee meetings I had to attend on Friday and Sunday, so I missed most of both games. Then again, I didn't miss much! Losing two out of four to Kansas City is nothing to write home about, that's for sure! On June 23, the Mets led the Tigers, 5-0, after eight innings. Starting pitcher R.A. Dickey had thrown only 97 pitches, allowing four hits, two walks, and retiring the last 13 batters he had faced. Dickey tried to talk manager Jerry Manuel into letting him finish the game, but as Dickey said afterwards, "I was unsuccessful." That day, Dickey lost a chance for the second complete-game shutout of his career because closer Francisco Rodriguez had not pitched in five days and Manuel wanted to give him some work. K-Rod pitched a scoreless ninth and the Mets beat the Tigers. Tonight, Dickey had thrown 99 pitches when he took his shutout into the ninth. He had only allowed one hit, but it was a much tighter game - 1-0. And the Mets were playing their division rival Philadelphia. With 9-1-2 due up, the Phillies' top of the order would be coming up. If K-Rod had been available tonight instead of serving the second game of his two-game suspension, there's a good chance Manuel would have brought him in. Manuel manages save situations by the book. Ninth inning, 1-0, facing Philly - that's book. Manuel also seems too slow to trust players without a track record. Gary Matthews Jr. started over Angel Pagan on Opening Day. Even when Pagan put together an All-Star caliber first half, he was initially relegated to a platoon with Jeff Francoeur when Carlos Beltran returned. Also, K-Rod needs to finish a certain number of games over this season and next for his 2012 option to vest, which could have something to do with the manager trying to placate his closer by using him whether or not he is needed. So despite Dickey's success this season, K-Rod might well have been called on to close if not for recent events. And who knows, K-Rod might have closed it out - he had been on a hot streak lately. But in K-Rod's absence, Manuel was forced to give Dickey the chance to show that he could complete a one-hit shutout. And now the Mets have a starter who had done that much more to solidify his place in the rotation next year. Maybe it was the curse of denying Dickey his complete game on June 23, but that win over the Tigers, the Mets' second straight over Detroit, was the last time the Mets won two in a row before tonight. What's worse for the Mets in K-Rod debacle - bad leadership or no leadership? The Mets' approach to crisis management appears to be "better to keep one's mouth shut and be thought a fool than to open it and remove all doubt." As newly-fervent SNY watcher Squawker Lisa writes, Jeff Wilpon and Omar Minaya have had very little to say about the Francisco Rodriguez mess. But Squawker Lisa is not a Met fan. Are there any Met fans who seriously want to hear MORE from Minaya or Wilpon? Jerry Manuel has had a lot to say, and he has removed all doubt about being a fool. As I wrote yesterday, Manuel would have been happy to use K-Rod in yesterday's noon game, despite his spending the night in a prison cell. The usually quiet Carlos Beltran offered more criticism than Manuel, saying "No one should act like that." But Jeff Francoeur, who appeared for awhile to be the team leader the Mets desperately need, removed all doubt about him being a fool when he said of the K-Rod altercation, "Maybe it's a distraction we need." Here's a distraction the Mets don't need - Francoeur wanting a trade because he isn't playing every day. Francoeur doesn't deserve to play every day, and good luck to him finding a place that will make him a fulltime starter. I think the Mets are better off with Francoeur in the mix, but I'd rather see him gone than starting fulltime - or complaining about it. Getting back to management, the Mets' tendency to do things half way keeps coming back to haunt them. Minaya has had his autonomy taken away from him, but he remains the GM. Manuel, one would think (and hope) is a dead man walking, but he remains the main voice of the team. Oliver Perez has effectively been deactivated, but he remains on the active roster. The Mets need a new version of Frank Cashen - a strong, decisive, leader from the outside who knows what he is doing, someone who will restore the Mets to glory - and get Squawker Lisa to stop watching SNY for the latest Mets debacle. To Squawker Jon's dismay, I've been paying a lot of attention to the train wreck that is the Mets of late, with the Francisco Rodriguez arrest situation. So I watched Wednesday's SNY postgame, and also watched the pregame for Thursday's game. And I was appalled by Jerry Manuel excusing his closer's arrest as being "not baseball related," and for him saying that he would actually use K-Rod in a game that day. How outraged was I? I actually uttered the words "Joe Torre would have handled this better" to Squawker Jon. And you know how often it happens that I ever say anything positive about Torre! According to media reports, the K-Rod fight with Carlos Pena, his common-law father-in-law, supposedly took place after Pena told Rodriguez to "man up." I don't know if that's what happened. But that advice is something the Mets front office ought to do. So far, their behavior has been abysmal. Aside from Manuel acting like a befuddled Mr. Magoo, insinuating this is a private matter (a private matter doesn't involve an arrest report, dude), the rest of the Mets' management haven't exactly been profiles in courage here. Minaya declined comment on the charges against Rodriguez, saying he didn't have enough information. Yet the Mets suspended Rodriguez for two days and placed him on their restricted list, costing him about $125,000 in salary. You're the GM of the team and you refuse comment? Unacceptable. "Ownership and the organization are very disappointed in Francisco's inappropriate behavior and we take this matter very seriously." Well, the Mets did suspend Francisco for a whole two games. Whoopee. And why the heck didn't Wilpon speak to the media personally? It was one thing when an aging, addled George Steinbrenner would have his press agent issue statements for him. But why is the COO of this team pulling the Greta Garbo act all the time? As for the storm of stories about what really happened to spur on K-Rod pummeling his in-law, it doesn't really matter to me what was said, and what caused it. What matters is that Rodriguez, who will get paid over $11 million this year to pitch, used the hands that the Mets pay him so much money for to pummel somebody so badly that he was sent to the hospital. And that he did it on Mets property, in front of Mets family members. Anyhow, the Mets fans who pay their money for tickets and support their team deserve more accountability than they've been getting from their team. When will this nightmare end? Austin Kearns' homer gets special John Sterling call, but what about Mark Teixeira's baby? Missed opportunity -- I should have written something earlier trying to predict John Sterling's home run calls for new Yankees Austin Kearns and Lance Berkman. At any rate, Kearns hit his first Yankee homer last night, and I heard Sterling exclaimed, "Austin Powers," over it. Good one! I was wondering if there would be an Austin, Texas related call -- like "Keep Austin Weird" or something like that --t, but "Austin Powers" is pretty good. Anyhow, I'm guessing that Berkman, aka Fat Elvis, will get some Presley-related call from Sterling whenever he hits a homer. Squawker readers, what do you think the call will be? So Mark Teixeira was back with the team Thursday, after missing two games on baby leave. I half-expected Sterling to have some baby-related call to announce the arrival of William Charles Teixeira. Wouldn't that have been cool? Washington Nationals broadcaster Rob Dibble -- the guy who insinuated that Jose Reyes' thyroid condition was really PEDs -- is out of control again. This time, he had some ridiculous things to say about two female fans in the stands at the Nationals game Wednesday. I wrote an article for The Faster Times calling him out over it. Please check it out. It was almost exactly one year ago (August 15, 2009) that a Met season already in disarray took a drastic downward turn when the face of the franchise, David Wright, ended up face-down and motionless after getting beaned. Now Francisco Rodriguez is under arrest for an alleged assault on a family member in the family room at family-friendly Citi Field. So far, K-Rod has been suspended for two days without pay. With the power of the union, a longer suspension at this point would probably run into problems. But at least the Mets could have said that they were suspending K-Rod indefinitely, then bring him back in a couple of days depending on how things developed. And this story is still developing. Last night, it was reported that K-Rod was upset with reporters because he was not used in the eighth inning, but now it turns out that was because the altercation had already occurred. Many have been quick to point out a pattern of confrontations with K-Rod. But confrontations with Tony Bernazard, whose temper apparently got him fired, and Brian Bruney, who apparently was the one to provoke K-Rod, and quickly backed down in the following days, do not necessarily make you the new Milton Bradley. Still, K-Rod also had a confrontation with an older bullpen coach, Randy Niemann. And for all we know, these confrontations are underreported and there is more to them, at least the ones with Bernazard and Niemann, than we know. Even if K-Rod had a spotless past, the alleged events of last night are bad enough. Meanwhile, Jerry Manuel says before the game (before the suspension was announced) that he would not hesitate to use K-Rod today. Even if one did not think K-Rod should have been disciplined, it would make no sense to use a player who had apparently spent the night in a holding cell at Citi Field and has yet to be arraigned. But Manuel must not think that would affect K-Rod's performance, considering that he also said before the game that this was not a baseball matter and would not be a distraction to his team. Even after this incident, the Mets' main issues remain the same. Manuel needs to go as soon as possible. His inability to adapt to changing situations is such that he will probably continue to obsess over who will be the eighth-inning setup man when he currently doesn't have a closer. And his rushes to judgment will probably cause Manuel to anoint a new closer immediately, even if K-Rod is due back in a couple of days. Manuel pulled Hisanori Takahashi from the rotation after a grand total of one successful setup appearance Tuesday, only to see him falter last night. Now he's stuck with no starter for Saturday, and has actually mentioned the dreaded Ollie. But this is one instance where I hope that Manuel goes through with one of his crazy plans. If the Mets insist on keeping Ollie on the roster, Manuel should show upper management the consequences of that decision. I'm just glad I don't have tickets for Saturday night's game. Keeping Perez on the team sends a message that if your contract is big enough, it does not matter what you do. Yesterday's altercation ends up being all the more reason to dump Ollie. As for replacing Manuel, the Mets have drawn praise for giving Wally Backman a second chance and setting him up as a potential replacement that could inspire the team, excite the fans, and come cheaply. But Backman needed that second chance because of his own legal issues, including one involving a domestic incident. Will the Mets, who tend to be publicity-conscious at the wrong times, now shy away from Backman? I hope not. If Backman deserved a second chance before, he still deserves one. But if he is going to become the new manager, appointing him now could set off a whole new round of controversy. Maybe the Mets should bring in an interim skipper instead and then hire Backman or someone else after the season. But if the Mets want to rally a fan base that is moving from dispirited to disgusted, get rid of Manuel as now and send Ollie packing. Judging from Squawker Lisa's excitement last night, the only people who will be caring about the Mets before too long are rubbernecking Yankee fans. Last night's Yankees-Rangers game had a real playoff feel to it, from the sellout attendance to the atmosphere to even the celebs (George and Laura Bush) in the house. And it was one of the most exciting Yankee wins this year. To be down five runs to Cliff Lee, and still come back and win the game, was pretty impressive. But despite Marcus Thames' eighth-inning homer and ninth-inning go-ahead hit, despite the Yankee bullpen keeping the Yanks in the game, and despite Derek Jeter's game-tying hit, the biggest story in the New York media today is what happened in Flushing, where Francisco (K-Rod) Rodriguez was arrested for allegedly attacking his own father-in-law. I'm no different -- when I saw news on the K-Rod meltdown on Facebook, I turned on the Mets postgame instead of basking in the Yankees win. To SNY's credit, they didn't sugarcoat any of it, spending a long time talking of nothing else than what K-Rod allegedly did (and yeah, I don't think YES would have been quite so candid if it were one of their own.) Bob Ojeda was very angry, wondering if Jerry Manuel has "lost control of the club, or does he just have a rogue guy with a bad temper on his hands who likes to beat up old people? I don't know, but this is the same guy that pushed Randy Niemann around..." Just in time for today's AARP Day and Senior Stroll at Citi Field! I think it's about time for the Mets' front office to pull that emergency chute hatch, and send Jerry Manuel on his merry way (maybe with a beer or two, like that flight attendant took!) What, exactly, is Manuel good at, other than playing kissy face with the media? His in-game strategies are terrible (why didn't he pitch K-Rod in the eighth last night, as Rodriguez apparently wanted him to do? ), his clubhouse is a complete mess, and now this debacle. We now know that there is a police holding cell in Citi Field, thanks to the team's closer being arrested. Oh joy. "Buck stood in the middle of the clubhouse, clipboard in hand, and calmly read the names of every Class AA and Class AAA prospect dying for promotions to the major league roster. The Orioles, who’d long since tuned out Dave Trembley and interim replacement Juan Samuel, listened in shock to Showalter’s thinly veiled warning: No one’s safe on a team with a .345 winning percentage." Then again, how would a threat work in Metsland, when disasters like Oliver Perez and Luis Castillo get to take up roster spots, no matter what, because of the money they make? When Fred Wilpon is making "Annie" references about keeping Omar Minaya, and bragging about the great job Jeff Wilpon is doing. If only the tough but fair criticisms that broadcaster Bob Ojeda has given time and time again were something the Mets' front office would actually listen to, this team would be a lot better off. Anyhow, the purpose of the Subway Squawkers blog is for Jon and I to rib each other about our teams -- and each other. But even this Yankee fan thinks that the Met fans deserve better. I felt the same way about seeing the then-pathetic Orioles this summer after Squawker Jon and I went to Camden Yards to see them against the Yanks and Mets. Now, with Buck Showalter, the O's - and their fans - have something to look forward to. If only Met fans had something to be hopeful over. I was completely exhausted last night after a long day, so I ended up falling asleep when the Rangers were leading the Yankees, figuring I would watch the replay later. Which meant I missed seeing Alex Rodriguez's homer live to tie the game. And maybe the Yankees could have won if Squawker Jon didn't call me at the end of nine innings to see what I thought about the game so far. I was in dreamland then, and woke up startled. So I eventually made it to the television, only to see the Rangers loading up the bases -- and eventually beating the great Mariano Rivera. What a nightmare! So I blamed Squawker Jon for this terrible twist of fate, of course! Is it just me, or did this Yankees-Red Sox series seem just not as buzzworthy as previous matchups? I was happy that Dustin Moseley pitched so well Sunday (even if cynics think that, as one reader put it, A.J.Burnett was really suffering from Soxitis and not a bad back!) I was glad to see Derek Jeter pass Babe Ruth on the all-time hits list, and to get to Josh Beckett. But I was disappointed that Curtis Granderson continues to struggle. And that the Bombers couldn't knock down Jonathan Papelbon in yesterday's game. There's a lot of talk in the media today about how the Yanks should have re-signed Johnny Damon and Hideki Matsui. Damon I agree with, but was Matsui staying a Yankee ever an option? After all, he signed with Anaheim right after becoming a free agent, without even hearing an offer from the Yankees. And I've read several times that he didn't want to come back to New York. So, I don't think that was even on the table. For his part, Granderson has a Nickelodeon persona, never publicly showing anything but a smile and a positive bent. So he is unrelentingly upbeat, delusional or working on an acting career. What does Sherman want Grandy to do -- start sobbing on a writer's shoulder or something? If Granderson showed anger to the press, he's be called testy. If he acted upset, he'd be called too moody. But when he stays positive, he's called "delusional." Good grief. Anyhow, I wish the Yankees had won yesterday - three games out of four would have felt a lot better than a series split! Ruben Tejada returned to the Mets' starting lineup Saturday night and made several nice plays at second base to help the Mets beat the Phillies, 1-0. The Mets are now 55-55. When Tejada starts at second, they are 15-5. When Luis Castillo or former Met Alex Cora started at second, the Mets are 40-50. It's not that the Mets only win with Tejada in the lineup. He has also started thirteen games at short, and the Mets are just 6-7 in those games. But when Tejada plays short, he's replacing an All-Star-caliber player. When Tejada plays second, he's replacing Castillo. Castillo is a better hitter than Tejada, who only hit .108 in July, going just 4 for 37, before being sent down. Castillo has even perked up at the plate so far in August, going 5-for-12, a .417 batting average. But Castillo overall is hitting just .246 with a .628 OPS. Castillo is a liability both in the field and at the plate. At least Tejada is a good fielder. And if this Met team is going to win, they are going to need to do it with pitching and defense. Time will tell if Fernando Martinez deserves his promotion, but platooning Jeff Francoeur is long overdue. Before tonight's game, Francoeur was hitting .317 against lefties with an .819 OPS as opposed to .218 and .626 vs. righties. But Francoeur remains an important part of the team, with his second game-winning homer on the road trip as well as a key shot against the Cardinals last week. Francoeur's three homers have come off of three top pitchers - Adam Wainwright, Billy Wagner and Cole Hamels. The Mets beat the Phillies, Johan Santana pitched a gem and Francisco Rodriguez came through with a five-out save to make sure Santana got his well-deserved win. And off the field, the Mets made some smart moves. Putting Castillo on the bench could also be the first step toward eating his contract. A great night all around. I'm peeved. I had a meeting to attend last night, and I missed the first hour or so of the Yankees-Red Sox game. "No problemo," I thought, "I'll just put my TV on the game channel before I go, and rewind the first hour." Unfortunately for me, I forgot that the game was on My9, and not the YES Network. So when I came home, the Yankees were losing 4-2, and I didn't get to see the Francisco Cervelli-Javier Vazquez uncaught ball mishap until later. Maybe that's just as well, though. Then today, my Facebook friend Paul (a Red Sox fan, BTW) posted something on my Facebook wall about Lance Berkman hurting Alex Rodriguez during batting practice. 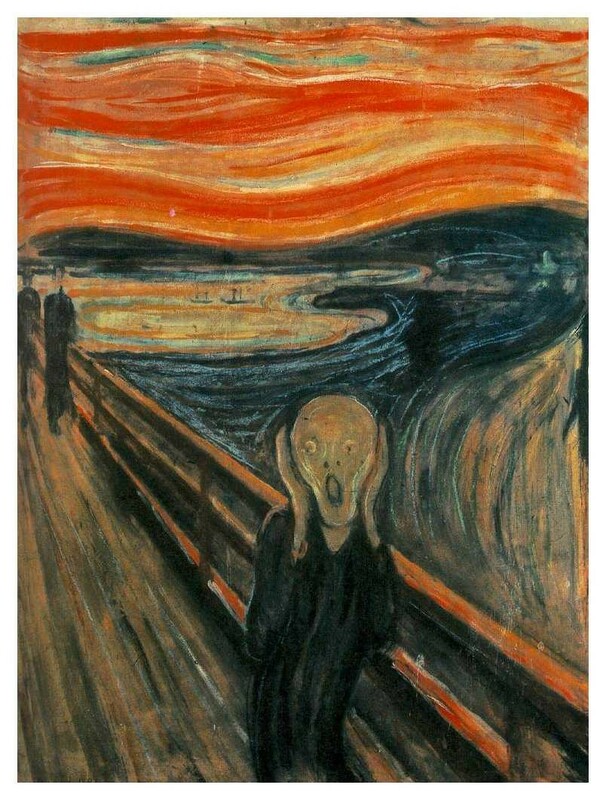 My reaction in front of the computer was similar to "The Scream" picture I posted here! In obvious pain, Rodriguez hobbled around on the infield grass for a few seconds before staggering into short center field, where he rolled around on the grass before turning face down. Some of Rodriguez' teammates, including Derek Jeter, thought at first that he was joking and yelled some light-hearted insults. Then, when it was obvious the injury was serious, Jeter shouted for trainer Gene Monahan, who hurried out to where Rodriguez lay. Manager Joe Girardi, conversing with a member of the Red Sox behind the batting cage, also set out to minister to Rodriguez, and a small group of Yankees huddled over the stricken player before he arose and walked slowly off the field under his own power. The clip is even more dramatic. A-Rod looked the way I did when Squawker Jon told me he would not go see "Cats and Dogs 2: The Revenge of Kitty Galore" with me! To top it all off, FOX broadcaster Joe Buck just revealed that A-Rod got hurt because Rodriguez was saying hello to him. Yet another reason to hate FOX baseball broadcasts! Here's something to get Yankee fans fired up, just in time for this weekend's Boston Red Sox series. In a recent interview, former Red Sox pitcher Pedro Martinez talked about how Yankee fans really, really like him (or at least respect him), and the one Boston writer he won't miss. Dayn Perry: Although Game 2 of the 2009 World Series wasn’t your last game, I think that’s one of the things people are going to remember about the tail end of your career–a great effort against the Yankees and that smile you cracked while walking off the field. Why were you smiling at that moment? Pedro Martinez: I was realizing that New York wanted to clap for me, but I was wearing the wrong uniform. They wanted to show me respect, and I knew that, and I loved it. If you understand baseball, the more they boo you, chant your name, the more respect there is. I don't think Pedro is totally wrong here. As Reggie Jackson once said, fans don't boo nobodies. And Martinez was the greatest Yankee nemesis of his generation. He played the villain very, very well against the Yankees. The fact he's intelligent and has a quick wit also helped add to his mystique.Watching the Yankees beat him -- twice -- in the World Series last year was great fun. I was trying to think of a current player who can rouse Yankee fans' ire the way Martinez did, and I couldn't really come up with anybody that the fan base loved to hate the way it was with Pedro. ESPN's Bill Simmons had a piece last week about how the Red Sox players are boring these days. I thought the article was mostly pretty whiny. For one thing, Simmons seems to have been more of a fan of the Red Sox's past mystique via misery and masochism, than an actual Boston fan. But it's also true that there is no current Red Sox villain on the level of Pedro Martinez. Jonathan Papelbon is my least favorite Red Sox, but even many Boston fans are tired of his act. And while lots of Yankee fans dislike Kevin Youkilis and Dustin Pedroia, neither of them get under Bombers fans' skin the way Pedro did. DP: Have you thought about pitching for the Yankees? PM: I thought about it a couple of times in my career. I was a Yankee fan growing up, a Reggie Jackson fan. I had a couple of opportunities to pitch for the Yankees, but it never worked out. Imagine Pedro in pinstripes, and what an outcry there would have been in Yankeeland! There was talk in the past week about how the Yankees supposedly nearly traded for Mike Lowell. He's one of the few Red Sox who wouldn't have caused a complete uproar in coming to the Bronx. Of course, he was once a Yankee, so that might have something to do with it. DP: Do you miss Dan Shaughnessy? PM: No, no, no. That’s the only thing I don’t miss about Boston. I’m pretty sure other players feel that way, too. Last night, the New York Mets became proud members of the .500 club. The Mets Hall of Fame asked for a game ball, but when Jose Reyes tried to toss one into the dugout, it ended up in the stands. David Wright then sidearmed a game ball toward the dugout, but it went down the line. The Mets are currently negotiating with a Braves' security guard who ended up with the ball used to make the final out. They have offered him the bat held by Jeff Francoeur when he took a four-pitch walk Tuesday night, an autographed picture of Carlos Beltran's knee brace and lunch with Oliver Perez. The Mets actually got to .500 on Monday night, but before they could properly commemorate the occasion, Francoeur went and spoiled everything with a dramatic game-winning homer off of ex-Met Billy Wagner that gave the team false hope that they could get back in the race. But they say that momentum is only as good as the next day's starting pitcher, and Mike Pelfrey was able to set things right with another disastrous outing. Well aware of what was at stake, the Mets did their best to make it a historic night. When was the last time that every member of the Mets' usually sure-handed infield made an error EXCEPT for Luis Castillo? Pelfrey brought his "A" game, the one where A stands for "atrocious." For the fifth time in his last seven starts, Pelfrey failed to make it past the fifth inning. But it was Jerry Manuel who most rose to the occasion. The Braves had runners on first and third and two out in the fifth inning with Brian McCann coming up. It was still a tight game - the Mets only trailed by 3-2. The conventional move would have been to walk McCann, who already had two extra-base hits in the game, including a homer his last time up. For the season, McCann was now 5-for-9 against Pelfrey, a .555 batting average. For his career, McCann was 17-for-36 against Pelfrey, a batting average of .472. Behind McCann was Eric Hinske, who had not had a hit in August and, after last night's game, is hitting .220 since the All-Star break. Oh, and Hinske, unlike McCann, is not an All-Star. At Sunday's Mets Hall of Fame ceremony, Davey Johnson was praised for being one of the first managers to pay attention to the numbers. But what chance do numbers have against Jerry Manuel's gut? And Manuel's gut said to pitch to McCann, who promptly delivered his third extra-base hit of the night - a run-scoring double. The game was out of reach soon after that. McCann's double raised his career BA against Pelfrey to .486 and his 2010 BA against Pelfrey to .600. Take that, A-Rod - you weren't the only one to reach 600 yesterday. Exactly one year ago today, a Met team decimated by injuries trailed the wild-card leading Giants by 8 1/2 games. Today, the much-healthier Mets trail the wild-card leading Giants by 8 games. Will A-Rod make it into the Hall of Fame? I wrote something for The Faster Times about Alex Rodriguez's 600th homer, and whether A-Rod will make it into the Hall of Fame. Eighteen months ago, I thought there was no way Rodriguez would make it into Cooperstown, after he admitted to using steroids. Now, I'm not so sure. After all, who would have thought fifteen years ago that people would talk about how George Steinbrenner should be a Hall of Famer? And just five years ago, it was more likely to see Darryl Strawberry and Dwight Gooden honored at Yankee Stadium's Old Timers' Day, as opposed to anything connected with the Mets. Now they're the latest members of the Mets Hall of Fame. Anyhow, I think A-Rod will eventually make it into the Hall. Read my piece to see my thoughts on the issue. So, I missed seeing A-Rod's 600th home run! And I forget to tape it, too. Thank goodness for clips on Yankees.com! I'll also watch the clip again in tonight's Yankee encore broadcast. Congrats to Alex Rodriguez. And a long national nightmare of my own ended today. Here's what happened. I've been very busy studying this summer for my Microsoft Office certification tests. Between the Office 2007 and 2003 software suites, there are twelve tests on various programs. I passed all the tests so far, and today was the final test. Much like A-Rod's long journey to 600, I've had a long journey to pass that exam - literally. The testing location is 55 miles from my house, and when I drove out there last week, there were all sorts of computer problems which prevented me from completing the test, which meant I had to retake the exam today. This afternoon, I was doing great on the exam until the end, where I had more technical glitches with the software. I asked a tech support person to help. He couldn't figure out how to fix it, and I ran out of time, unable to complete four questions out of 19. The company were going to give me another voucher yet another test retake, but by some miracle, I managed to pass the test, even though I missed doing those four questions. Hooray! Anyhow, just as I found out I passed my last test, A-Rod was ending his long journey to No. 600, hitting his homer. I got in the car, just to hear John Sterling and Suzyn Waldman talk about how A-Rod got the monkey off his back. So I'm feeling relief. For A-Rod, for the Yankees, and for me! Kudos, A-Rod! Now, if only the Brett Favre saga would come to a merciful -- and quick -- end, my life would be complete! You gotta love the media. It was less than two weeks ago that so many journalists told us about how nobody cared about Alex Rodriguez going after his 600th homer. This morning, now that the Yankees have fallen out of first place for the first time since June 13, I'm reading in the New York papers about how the Yanks' slide is all A-Rod's fault, thanks to the tons of attention placed on #600. In this celebrity era, the Yankees have to get back to the team game and putting their eye on the real prize, not 600 home runs, but doing whatever it takes to winning the AL East, day by day. This is serious baseball. You can’t let any distractions get in your way or you will get annihilated. Funny how a record nobody supposedly cared about is causing so much mayhem. Actually, in the 12 (not 11) games since A-Rod hit #599, the Yankees won five of the first seven games, taking two out of three from the Kansas City Royals, and three out of four from Cleveland. It's hard to see how the home run chase had anything to do with that. The Yankees' current doldrums really started during their trip to Tampa, where they lost two out of three, and now at home against Toronto, where they've lost two in a row. This also coincided with A-Rod going into a slump -- he hasn't had a hit since the Cleveland series..
Are A-Rod's current doldrums affecting the team? Of course -- he is the cleanup hitter, after all, and when he's not driving in runs, the team will suffer. But he's certainly not the only reason the Yankees have lost four of the last five games. When the entire team gets only two hits off Ricky Romero, your pitching is going to have to be perfect to win. And that's a lot to expect from Dustin Moseley. When your Number 2 starter gives up eight runs, as A.J. Burnett did the night before, you can't expect victory. Later in his piece, Kernan does bring up how "the combination of the trade deadline, adding several new Yankees, A-Rod’s crawl to 600 and A.J. Burnett’s theatrics created a kind of bad brew that has knocked the Yankees off their game." But No. 13 still gets the lion's share of the blame. Of course. The Yankees were leading the division by four games since the day after this quest for 600 started. Since then they have dropped five games in the standing. Rodriguez's quest for No. 600 is dragging the team down. There was a time when his lack of home run production was offset by his ability to hit balls into the gaps and drive in runs. And the team was winning. Now he's not even doing that, and Yankee hitters are following him into some kind of hitless abyss. He's mired in a 0-for-17 slump and is 9-for-46 since hitting 599. Amazing that one player can cause such problems, eh? A-Rod slumps; therefore, the entire team can't hit -- or pitch. Unbelievable. You know, I really hope Alex Rodriguez hits No. 600 very soon. Because the longer the home run quest takes, the more we have to read baseball columnists' pathetic attempts at psychoanalyzing the third baseman. And the New York newspapers blaming the Yankees losing three out of four at A-Rod's feet is a bit much, too. Like today's Daily News, with a back page that proclaims, "A-Rod fails again as Yanks fall into deadlock with Rays." Today's New York Post's back page also features Rodriguez, with the headline "ROD TO RUIN - Alex still stuck as Rays catch Yanks." Hmmmm. I could have sworn that there was one record that actually did occur Monday night -- the most doubles in an inning. With an incredible six doubles in the fifth -- five of them off starter A.J. Burnett -- Toronto tied the American League record for most doubles in one inning, and scored seven times in the fifth. To me, A.J. 's meltdown was the story of the game. After two very good starts, the Bad A.J. is back with a vengeance. But most New York papers didn't see it that way. After all, A.J. doesn't sell papers the way A-Rod does. So, they featured A-Rod not breaking the record that supposedly nobody cares about, over A.J. Burnett pitching one of the worst innings a Yankee hurler has unleashed all year. This extended drought is bound to raise questions about Rodriguez’s long-term resiliency. It’s crazy to even ask, but the Yankees have to wonder which A-Rod will be occupying the cleanup spot in the postseason. Will it be the one who was practically unstoppable last October, the one who hit six home runs with 18 RBI? The one who finally broke through as a mainstream Yankee? Rodriguez finally had turned off the spigot on his narcissism, trading in the ego for a World Series ring. Taking down Barry Bonds’ home run was the next soft target. Is that what it takes to be a great hitter? "Turning off the spigot" on that narcissism thingy? "Trading in the ego for a World Series ring"? Good grief. Geez, if only Reggie Jackson had turned off that narcissism spigot, and maybe he would have hit five homers in a game! And just imagine what Barry Bonds could have done if he could have kept the ol' ego in check! But the quest for No. 600 has peeled away a few layers of A-Rod’s psychological flesh, revealing the anxious, self-doubting A-Rod of old. Forty-three at-bats are too many to blame bad mechanics. It’s all about anxiety now, nourishing itself one failed plate appearance at a time. Which one is it, Bob? Does A-Rod need to get rid of the narcissism, or the insecurity? Or are you just throwing around psychobabble to explain a slump? Can you at least be consistent here? Hey, maybe if A-Rod would just turn back on the ego, he'd hit a homer! Yeah, that's it! Rodriguez actually is fighting a two-front war, both against his nerves and Mother Nature....He’s reached the age that, without chemicals and amphetamines, the muscles no longer fire as quickly. Ooooh, a two-front war. Spooky! Since he's fighting Mother Nature, who else is involved in the battle - Heat Miser and Snow Miser? In a perfect world, A-Rod would’ve slammed that historic home run in the ninth inning off David Purcey, jump-starting a comeback to keep the Bombers in first place. But A-Rod’s grounder to Yunel Escobar was the Bombers’ last gasp, and with it, the introduction of a new reality: the Rays are now co-tenants atop the AL East. While the Yankees aren’t panicking, they’ve long since given up hope of running away with the division as they did in 2009. A little, perspective, please. Even if A-Rod had hit a homer in the ninth last night, the Yankees would still have been behind by a run, with only one out left, and no guarantee the Yankees would win. And I guess I missed when the Yankees were running away with the division for the whole 2009 season. Klapisch should know better. Not only do the Bombers actually have a better record this year than they did last year -- 66-39 to 63-42 -- but they're in virtually the same place they were last year on August 3. At that point in 2009, they clung to a slim half-game lead over the Boston Red Sox for the division. And given how much the Red Sox had owned the Yankees last year - they had won the first eight games in a row - sportswriters were very skeptical of the Yanks' chances. But the Yanks swept the Red Sox in a four-game series at the Stadium two weeks later, and never looked back. So, I'm not going to throw in the towel on the division just yet. I still would like for A-Rod to hit No. 600 soon, though, as I can't take anymore of these dopey columns! Monday was the 31st anniversary of the tragic death of Thurman Munson. And in Sunday's New York Post, there was an article about how a fan took the last photo of Thurman, a photo that was forgotten about for over 30 years. This photo showed Thurman shaking Reggie Jackson after Reggie hit a homer in the August 1, 1979 game, the last game Munson played in. The New York Post article online doesn't include the picture, but it's online for purchase at the Photofile site, and you can see what it looks like there. The fan who took the photo contacted "Munson" author Marty Appel a few months ago about the photo, and Appel brought the picture's existence to the attention of the New York Post. Anyhow, you can read more about how the last photo was found by going to the Post web site. When Davey Johnson was inducted into the Mets Hall of Fame this afternoon, he told the crowd, "if you don't win, you don't really like us a lot." Johnson went on to say that the fans inspired the 1986 Mets. Unfortunately, the celebration of the Mets' last championship did nothing to inspire the current team, which put on a dismal display that left the booing crowd not really liking them a lot. I'm glad that Squawker Lisa and I were there for the ceremonies. The actual game, not so much. At least, unlike the last game at Shea Stadium, the festivities were held before the awful game, when fans were still in a good mood. GM Omar Minaya: Frank Cashen spoke of how his Met teams set attendance records. As I look around at the empty seats, I wonder if we, too, are closing in on a record - biggest attendance decline in the second year of a new ballpark. But I couldn't have done it alone. I work for a team that doesn't want to spend more money, but claims that it does, which makes me look like the one who just couldn't get a deal done at the trade deadline. Then again, if my hands weren't tied, I probably would have done something like trade Angel Pagan for Jake Westbrook. At least I was able to stack this year's roster with retreads like Mike Jacobs, Gary Matthews Jr. and Frank Catalanotto. Manager Jerry Manuel: Omar, you may have provided the pieces, but I was the one who batted Mike Jacobs cleanup on Opening Day and started Gary Matthews Jr. over Angel Pagan at the beginning of the year. I made John Maine my number two starter coming out of spring training. And I'm the one who pitched Fernando Nieve every day until he lost his effectiveness. Second baseman Luis Castillo: I would not be here were it not for the people on this stage. Jerry, thanks for batting me second so many times this year. And Omar, I want to thank you and ownership most of all for not eating my contract. Instead of my poor performance getting me quietly designated for assignment, your insistence on keeping me around has turned me into the Mets' version of Eddy Curry. (quickly looks down the stage) Oh, I'm sorry, Ollie - didn't mean to step on your toes. Finally, I want to say that there is no greater thrill than winning a ring in New York. And I'm so grateful that I had the opportunity to do just that - when the Florida Marlins clinched the 2003 World Series at Yankee Stadium. Pitcher Oliver Perez: Dwight Gooden said that the fans' rhythmic clapping inspired him to get that third strike. I am also fortunate enough to get a strong fan response every time I take the mound. When I hear that sound, it's as if you are saying Ooooooooooooh! So that's what a $36 million pitcher looks like! Look, I know I've gotten a lot of grief for not wanting to pitch in the minors, but I don't see how people can criticize me for not wanting to pitch in the minors when I'm willing to pitch for the Mets! Okay, maybe that came out wrong. But do you really want to trade me for Carlos Zambrano? His contract is a lot bigger and he's even crazier than I am! And, well, this franchise hasn't exactly had good luck with Zambranos in the past. Management responded to the calls for the team's history to be honored, but when the biggest names of 1986 finally got their long-overdue induction into the Mets Hall of Fame, there were too many empty seats. I'm glad the Mets made no desperation moves at the trading deadline. Apparently, someone remembers Scott Kazmir in 2004 as well as the panic trade of Xavier Nady for Roberto Hernandez in which the throw-in of Oliver Perez first seemed like a steal and ended up as a curse on the team. But I'm tired of hearing how the Mets are willing to spend, but didn't see anything worth spending on. The Mets talk an awful lot about spending, but cut payroll in the offseason and have not added any since. And how's passing on Bengie Molina for Rod Barajas working out now? I'm also tired of the Mets's spin that the process shows that the Mets have young players that other teams want. Is Omar Minaya, who infamously traded Cliff Lee, Grady Sizemore and Brandon Phillips to rent Bartolo Colon a few years ago, suddenly a good GM because he has figured out that he should hold on to Ike Davis and Jonathon Niese? At least the Mets are not spinning that they are still in the race. 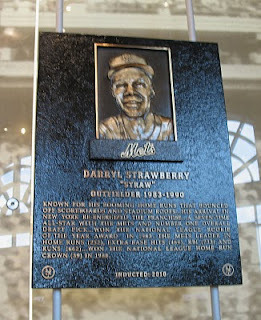 "We're going into the Mets' Hall of Fame, and that's Cooperstown for me," Strawberry said before the Mets' 5-4 victory over the Diamondbacks last night. "The Mets will always be No. 1 in my heart," [Gooden] said. "I always wanted to come back here. This is where I started." I'm calling it now -- Alex Rodriguez will hit his 600th career home run this afternoon. How can I be so sure of this? It's because I will miss watching his at-bats for the first time since he hit #599. I will be at the Mets game today with Squawker Jon, watching Met (or is that Yankee?) icons Dwight Gooden and Darryl Strawberry get inducted into the Mets Hall of Fame. So, it seems to me that A-Rod will hit No. 600 today, and not only will I miss seeing it live, but I'll have to hear Mets fans boo when the home run is announced on the scoreboard! Good grief. Anyhow, the big news in Yankeeland -- besides the huge Rays/Yankee series, that is (Robby Cano, doncha know!) -- are the newest Yankees. Lance Berkman, Austin Kearns, and Kerry Wood, come on down! You're the next contestants on "The Price Is Right"! But anyhow, I also really like Berkman's personality -- he seems like a well-spoken, funny guy, so he should fit in well in New York. And Squawker Jon and I have decided he looks like country singer Vince Gill. Just sayin'. I guess Austin Kearns should be okay, but I'm not all that excited over him. As for Kerry Wood, I have some concerns about his injury history. But as long as he can stay healthy, he has to be better than Chan Ho Park, who got DFAed yesterday. Anyhow, I'll tape today's Yankee game. And I fully expect to come home and watch A-Rod's 600th career homer. You heard it here first. Breaking news - we have a new nickname for Kevin Youkilis, and I actually agree with Jonathan Papelbon on something!